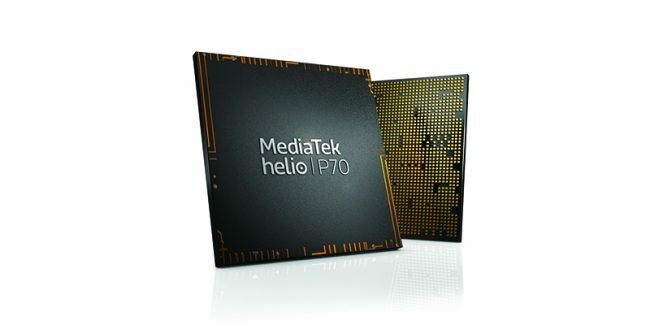 MediaTek today announced the launch of the Helio P70 system-on-chip (SoC), with an enhanced AI engine combined with CPU and GPU upgrades for more powerful AI processing. It also comes with upgraded imaging and camera support, a gaming performance boost and advanced connectivity features as stated by the company in its press statement. 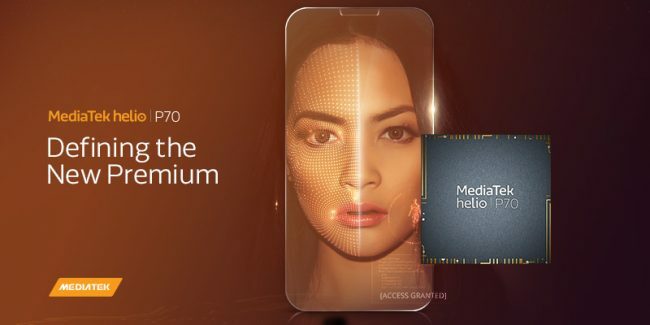 The Helio P70 is built with TSMC’s 12nm FinFET technology and features a multi-core APU operating at up to 525 MHz for fast and efficient edge-AI processing. This octa-core chipset packs four Arm Cortex-A73 2.1 GHz processors and four Arm Cortex-A53 2.0 GHz processors. This chipset has an improved Arm Mali-G72 MP3 GPU operating at up to 900 MHz, which provides a 13 percent performance improvement compared to the Helio P60. Its GPU enhancements also deliver a better overall gaming experience. It’s optimized to reduce frame-rate jitter and improve latency for touch controls and display visuals for a smooth, fluid gaming experience. Helio P70’s enhanced AI engine delivers a 10 to 30 percent AI processing boost compared to the Helio P60 for supporting more complex AI applications such as real-time human pose recognition and AI based video encoding. Helio P70 is built on MediaTek’s NeuroPilot platform, the company’s comprehensive hardware and software ecosystem to support edge AI. Helio P70 supports a variety of AI-infused photo and video experiences including real-time beautification, scene detection and artificial reality (AR) capabilities. The chipset features improved deep-learning facial detection with up to 90 percent accuracy. It can support super-sized 32MP single camera or 24+16MP dual cameras. Helio P70 comes with a 4G LTE modem and 300MBit/s of download performance. Dual 4G VoLTE support provides a seamless user experience across two different SIMs for higher quality calls and faster connection times. It also features MediaTek’s smart antenna technology, which automatically uses the best antenna combination to sustain signal quality. The Helio P70 is in production now, and is expected to be available to device manufacturers by November of this year.